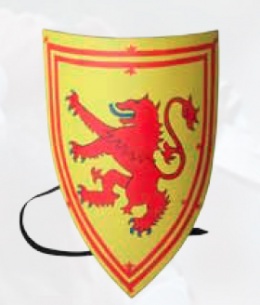 Surprisingly, the wolf, while not commonly seen in heraldries, was often seen on warriors. This Yellow and Red Wolf Heater Shield lets a warrior wear the wolf as heraldry when they head into battle, while also trusting this predator to protect them. This page was last modified on 13 May 2014, at 17:36.